The Taurus sling trainer is an effective allround fitness equipment for exercising almost all muscle groups. The mobile multi-gym works with the own body weight as training resistance - any other accessory is not needed. This makes the Taurus sling trainer transportable and offers flexible use: indoor or outdoor, on the go or at home. 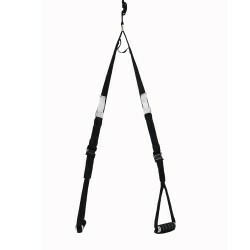 Improve your flexibility, build muscles, and train your coordination with the Taurus sling trainer. Chin-ups are perfect upper body exercises. The very sturdy Taurus multi chin-up module offers three pairs of handles for more diversion. 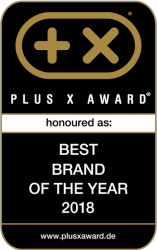 Purchase the Taurus Balance Pad - the new basis for your workout, because the excellent Taurus Balance Pad helps to get maximum training success at minimum effort. Train balance, coordination, and flexibility on the balance mat. Exercises on the Balance Pad can be done in standing, lying or sitting position. 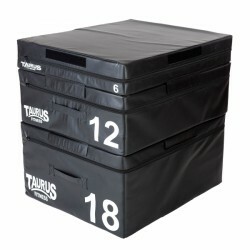 The Taurus Soft Plyo Box are ideal for starting plyometric training thanks to the upholstery. 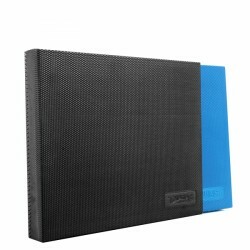 This padding allows to increase the maximum jumping power safely and gently. 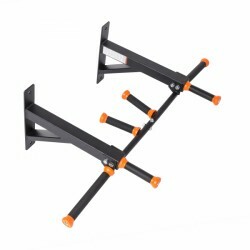 Single plyo boxes can be combined with each other. 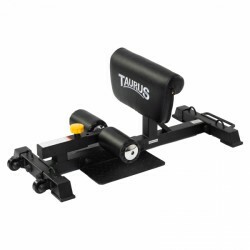 Don't skip Leg Day: The Taurus Sissy Squat Trainer helps you cleanly and securely execute the often hated Squat. The Taurus chin-up bar can be easily put in the door frame and offers the possibility to exercise an effective strength training at home. Using the Taurus chin-up bar, you can accomplish many easy fitness exercises for the whole torso. Once the Taurus chin-up bar is put in, you exercise chin-ups for back and arm muscles. 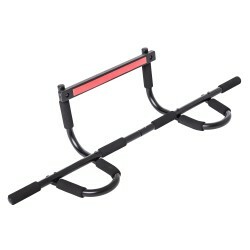 Furthermore, you can exercise your arms and abdominal muscles with the Taurus chin-up bar. 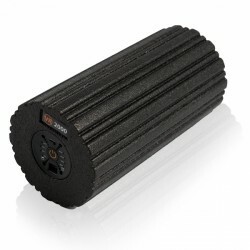 The Taurus Fascia Roll with Vibro-core positions itself better than conventional fascia rolls for self-massage. The massage roll has 4 vibration levels and the combination of pressure and vibration results in better regeneration and releasing of tension. Vibrating Fascia Roll for massage and releasing tension. 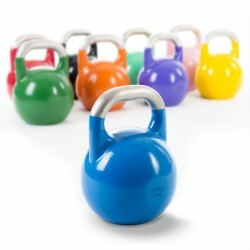 The Taurus Competition Kettlebell is a very versatile training device for simple but intensive and varied Functional Training. The modern colours give the classic of strength training a young appearance and are a real eyecatcher.